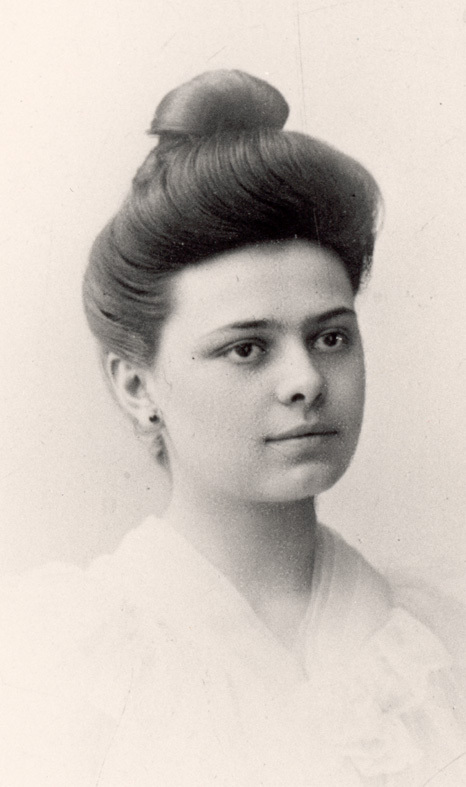 St. Elizabeth of the Trinity, OCD (July 18, 1880 – November 9, 1906), was a French Discalced Carmelite nun, mystic, and spiritual writer who was born into a military environment and named Élizabeth Catez—the first child of Captain Joseph Catez and his wife, Marie Rolland. Her father, who had been raised in a poor, agricultural family, enlisted in the French army when he was 21. 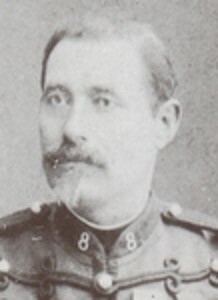 In September of 1873, when he was 41, Catez married Marie Rolland (then 26), herself the daughter of a successful military man. After a career marked by combat as well as by many promotions, he was made a Knight of the Legion of Honor in 1881. Spending her earliest years in this military environment, Elizabeth was naturally formed in such virtues as courage and forthrightness, but as a child she had a terrible temper. Elizabeth's personality was also marked by a determined, energetic disposition. The strong-willed exuberant child's energy, however, often became violent, resulting in fits of rage. She could not support being opposed, seeming to think that all must give way before her. Nevertheless, this child who was once described mischievously as "pure devil," simultaneously demonstrated and developed a great attraction to prayer. The year 1887 marked a great change in seven-year-old Elizabeth's life. The year began with the death of her maternal grandfather in January. In October of that same year, her father died suddenly of a heart attack at the age of fifty-five. Madame Catez and her two children (Elizabeth's sister, Marguerite, was born in 1883) soon moved from their former house to an apartment in what could be called the suburbs of Dijon. From the window of her room in her new home, Elizabeth could see the monastery of the Discalced Carmelite Nuns. After the death of her father, Elizabeth's outbursts of anger increased both in number and in violence. During the course of the same year, though, the child experienced for the first time the Sacrament of Penance, which brought about what she called her “conversion." She henceforth began to struggle noticeably against her violent temper, promising her mother that she would strive to be the very model of a "sweet, patient, and obedient" daughter. In the spring of 1891, when she was almost eleven years old, Elizabeth made her First Communion. Sensitive by nature, especially to things sacred, she was profoundly affected by her first reception of Jesus Christ in the Sacrament of the Eucharist. Tears of joy were seen to run down the young girl's face after her Communion. Upon leaving the church, she said to a close friend, "I'm no longer hungry. Jesus has fed me." Who reposed in my feeble heart, Inundating it with all of his favors. Likewise, Elizabeth once wrote the following words to a friend who had just made her First Communion: "If He came this morning into your little heart, it was not to pass through it and go away, but to remain there always." It seems that the future saint understood that by giving Himself to you in the Sacrament of the Eucharist, Jesus had come to dwell within you in a new way. Elizabeth first discerned her vocation to Carmel after having received Communion one day when she was fourteen years old, but her mother was opposed to the idea. Eventually, when Elizabeth was nineteen years old, Madame Catez agreed to her daughter's entry into Carmel, but required her to wait until her twenty-first birthday. In the years before she entered the cloister, Elizabeth studied St. Teresa of Jesus' “Way of Perfection.” She also read the first edition of Therese of Lisieux's “Story of a Soul,” and quickly became an enthusiastic follower of the Little Way. The soon-to-be Carmelite was also greatly enamored of "Little Therese's "Act of Offering to Merciful Love." Furthermore, in February of 1900, the young aspirant to the Carmel of Dijon was introduced to a Dominican friar, a friend of the nuns. Elizabeth asked for help in understanding her interior experience—her need for silence and recollection, and her sense of an inexplicable presence in the depth of her soul. This Dominican proceeded to deepen her awareness of the truth of the indwelling of the Trinity in the soul of the baptized: that not just Christ, but that "all three persons of the Trinity—Father, Son, and Spirit—were present in love in her soul. This graced meeting greatly reassured Elizabeth and aided her in her spiritual progress. As she was waiting to join the Carmel, Elizabeth lived the life of a typical young, active Catholic laywoman of her time. She sang in two choirs in her parish, she helped prepare children for their First Communion, and she began a type of Summer day care for the children of those who worked in the local tobacco factory. The personality of this sensitive and energetic young women had blossomed from her earlier years. Her simple, vivacious and spontaneous nature, coupled with her great, if hard-won se f-possession, won for her friends of all ages. Many of those who knew her later testified that she exercised a notable influence on others, especially on those younger than herself, being skilled at running recreations and other youthful activities. It should be noted that Elizabeth was also a very gifted musician. 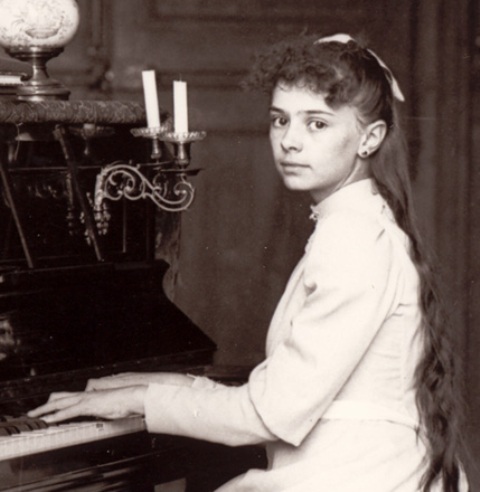 From the age of seven, she studied music at the Conservatory of Dijon, winning several prizes for her skill at the piano. She is said to have played with great passion, playing in order to please God Himself. "No one can interpret the great masters like Elizabeth," noted one of her many admirers. In the midst of her active social life. Elizabeth sought to live as "a Carmelite on the inside" while she awaited the day of her entrance into the cloister. In St. Paul, Elizabeth found teaching that both echoed her own experience of the love of God and helped her to interpret this experience. Paul spoke to her of the "exceeding love" of Christ, who "loved me and gave Himself for me" (Gal 2,20). According to Elizabeth, this last Pauline expression summed up everything about the love of Christ, a love that was true and strong. As a child, Elizabeth had found the strength to conquer her fiery temper only after having received the Body and Blood of Christ in the Eucharist for the first time. As a Carmelite, she would read in St. Paul's letters that it was Christ who made peace through the Blood of His Cross (Col. 1:20), making "peace in my little heaven, so that it may truly be the repose of the Three." Elizabeth had experienced for herself the way in which the Blood of the Eucharistic Christ had brought peace to her tempestuous soul, and later found the words in St. Paul to affirm her experience. Also, Elizabeth found in the words of St. Paul the scriptural foundation for the doctrine of the indwelling of God in the soul of the Christian. To lead from glory to glory, Even unto the bosom of the Trinity. Elizabeth, then, experienced Christ as the One who comes to reveal to us the Father's love and to lead us to share in the divine life of Trinitarian love. Finally, the young Carmelite found many passages in St. Paul’s letters that helped her discover the great dignity of this vocation of the Christian to share in the life of the Trinity through union with Christ. She was especially drawn to the eighth chapter of Paul's Letter to the Romans, in which the great saint writes: "For those He foreknew, He also predestined to be conformed to the image of His Son, so that he might be the firstborn among many brothers. And those He predestined He also called; and those He called He also justified; and those He justified He also glorified" (Rom 8.29-30). Likewise, she drew great riches from the first chapter of the letter to the Ephesians, in which Paul writes: "He chose us in (Christ), before the foundation of the world, to be holy and without blemish before Him. In love He destined us for adoption to Himself through Jesus Christ, in accord with the favor of His will, for the praise of the glory of His grace that He granted us in His beloved" (Eph 1.4-6). there to sing for ages unending the praise of His glory. All of this great work is an action of the God of Love. God creates us in order to lead us to communion with Himself, the God who is Love itself. In response to this loving plan of God, Elizabeth desired to live fully her Christian and Carmelite vocation. On November 21, 1904, the feast of the Presentation of Mary, Elizabeth composed her famous prayer to the Trinity. This prayer is like an offering of herself to the God who is Love. It marks out the program of life which Elizabeth desired to follow. In it we see her desire to be united to Christ, conformed to Him, in order to please the Father and to enter profoundly into the dynamic and infinite love of the Trinity. Elizabeth begs the Holy Spirit to "create in my soul a kind of incarnation of the Word: that I may be another humanity for Him in which He can renew His whole Mystery." She entreats the Father: "Bend lovingly over Your poor little creature; 'cover her with Your shadow.' seeing in her only the Beloved in whom You are well pleased." She concludes by surrendering herself to the Trinity, begging God: "Bury yourself in me that I may bury myself in You until I depart to contemplate in Your light the abyss of Your greatness." It was only two years after composing this prayer that Elizabeth of the Trinity finally did depart this life in order to contemplate the abyss of God's great love for all eternity. The young Carmelite died after many months of suffering from Addison's Disease, a malady of the kidneys which at that time was incurable. As a result of this illness, Elizabeth suffered great fatigue, an inability to digest food, intense abdominal pains, and great thirst. She wrote that she felt as though tiny beasts were devouring her insides, and said that one of the first things she would do in heaven was to have a drink of water. Her community noted the great patience, courage, and joy with which Elizabeth suffered. The young Carmelite viewed her suffering as a way of being conformed to Jesus, as a way of sharing in the redemptive suffering of her divine Bridegroom for the good of the Church. As such, Elizabeth even came to view this suffering as a gift, She explains to her mother in a letter written from her sickbed: " 'I rejoice,' said St. Paul, 'to make up in my flesh what is lacking in the passion of Jesus Christ for the sake of His body the Church.' Oh! How your mother’s heart should leap for divine joy in thinking that the Master has deigned to choose your daughter, the fruit of your womb, to associate her with His great work of redemption, and that He suffers in her, as it were, as an extension of His passion. The bride belongs to the Bridegroom, and mine has taken me. He wants me to be another humanity for Him in which He can still suffer for the glory of His Father, to help the needs of His Church. This thought has done me so much good." (Note: Her mother died in 1914 at the age of 66; her sister, Marguerite, died in 1954 at the age of 70). Elizabeth's last audible words before her death were, "I am going to Light, to Love, to Life." 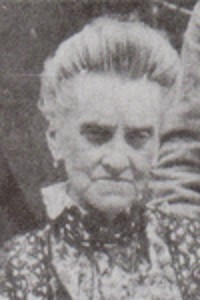 She died on November 9, 1906, at the age of 26, after having lived in Carmel for only five years. When asked if she would spend her heaven doing good on earth like "Little Therese," Elizabeth responded that she would not, but that she would shoot "like a rocket" deeper and deeper into the abyss of the Trinity. Nevertheless, she did intuit that she would exercise a particular mission within the Church from her place in heaven. From her sick bed, Elizabeth wrote to a fellow Carmelite, "I think that in Heaven my mission will be to draw souls by helping them go out of themselves in order to cling to God by a wholly simple and loving movement, and to keep them in this great silence within which will allow God to communicate Himself to them and transform them into Himself." In Dijon the beatification process started in 1931 under Pope Pius XI and lasted until 1941. Her writings were all gathered and, after careful investigation, were incorporated into the cause and approved as being valid. The official introduction of the cause--under Pope John XXIII--was on October 25, 1961, and bestowed the title of Servant of God on the late nun. After an extensive investigation that spanned over a decade, she was made Venerable on July 12, 1982, by Pope John Paul II. 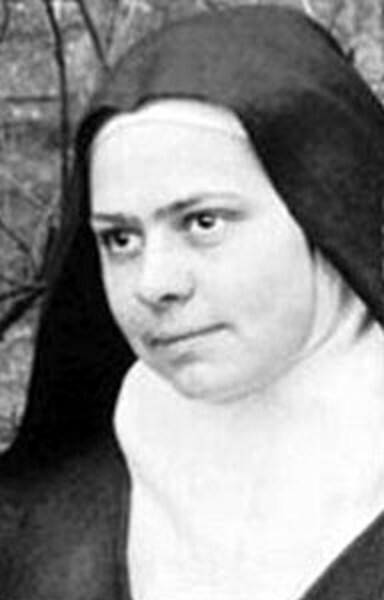 She was beatified by him on November 25, 1984, during an apostolic visit to Paris. In his homily at the beatification, the Pope presented Elizabeth of the Trinity to the Church as one "who led a life 'hidden with Christ in God' (Col 3,3)," and as "a brilliant witness to the joy of being 'rooted and grounded in love' (Eph 3,17)." We can turn to Elizabeth of the Trinity today as a witness to the impact that the presence of the loving God within the soul can have in a human life. She proclaims to us the great dignity of the Christian Vocation: the call to be conformed to Christ--crucified, risen, and present in the Eucharist--to become "temples of the Spirit," all to the praise of the Father's glory. She reminds us that the Trinity is "our home," that God has created us in order to be united to Christ, to live as His adopted sons and daughters, dwelling in His love and remaining there always in this life and in the next. She has since been given such titles as "the prophet of the presence of God,” “the saint of the divine indwelling," or "the saint of one idea," because of her strong experience of the indwelling of God in her soul. Even the Catechism of the Catholic Church cites her prayer to the Trinity in order to illustrate the truth that "...even now we are called to be a dwelling for the Most Holy Trinity." "If a man loves me," says the Lord, ‘he will keep my word, and my Father will love him, and we will come to him, and make our home with him.’ (Jn 14,23)." On March 3, 2016, a second miracle of healing, attributed to her intercession, was approved. The canonization took place in Rome on October 16, 2016. Her feast is on November 8. For a pictorial video of the life of St. Elizabeth of the Trinity, click here X.